FreeStyle Lancets are made from very thin, 28 gauge stainless steel for comfort, and sterilized for your protection. FreeStyle Lancets also fit almost all other lancing devices. 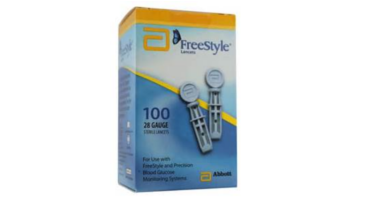 FreeStyle Sterilized Lancets are for use with the Freestyle Blood Glucose Monitoring System.